Name: 34th Annual Chocolate Fiesta! 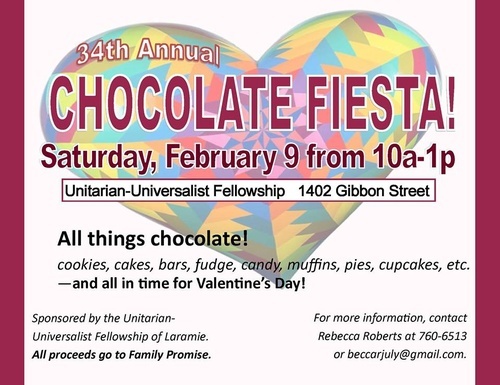 It's time again for the Chocolate Fiesta! Come satisty your cravings will all things chocolate! Including cookies, cakes, fudge, candy, muffins, pies, cupcakes, and more, all in time for Valentine's Day! All proceeds will go to Family Promise whose mission is to end homlessness for families with children in Albany County.